A group of South Korean scientists has developed a convenient and accurate blood glucose monitoring device that does not require a blood sample, the state-run research center said Sunday, a development that would help diabetes patients. 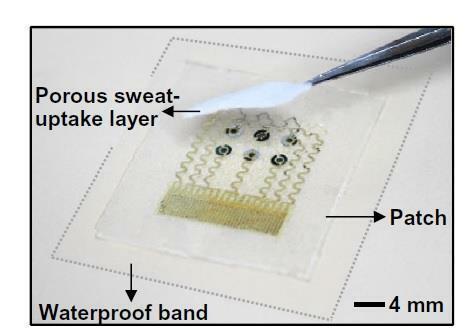 The team led by Lee Hyun-jae at the Center for Nanoparticle Research under the Institute for Basic Science developed the sweat-based system that allows rapid glucose measurement and also comes in a disposable strip sensor. "The conventional treatment protocol causes a lot of stress for diabetics since it requires painful and repetitive blood-withdrawal and insulin shots," Lee said in a press release. "A recent alternative approach, sweat-based monitoring offers a painless blood glucose monitoring method, enabling more convenient control of blood glucose levels." The research group presented an easy-to-use and multistage module to ensure an accurate glucose monitoring, the IBS said. To speed up the sweat collection, the researchers developed the system to work with only a small amount of sweat. "This accurate glucose analysis would prescribe a multi-step and precisely controlled dosage of drugs to diabetes patients," the IBS said.